At Morgan Insurance Agency, LTD, we know the primary concerns with renting a home or apartment, and renter's insurance protects you from a range of threats and dangers that would occur with a rented unit. Upon purchase renter's insurance, you're covering yourself against several things like fireplace, lightening, riots, aircraft, vehicles, smoke, windstorms, vandalism, theft, falling objects, water harm, electrical harm and a number of other problems. At Morgan Insurance Agency, LTD, we can facilitate that your valuables are insured. 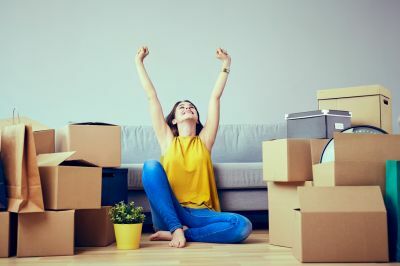 Once you decide the amount of coverage you need, we can tailor a package to fit your renters insurance needs in Lufkin and throughout Texas. To insure that your valuables can be protected, buying renter's insurance offers you peace of mind and also the assurance that if something is lost, you may be ready to replace it. Contact us today and learn additional information regarding Renter's Insurance and precisely what proportion you wish. As a local, insurance agency in Lufkin, we're partnered with several of the highest renter's insurance corporations within the business. This means we can compare rates and policies with many different carriers and find the policy and value that works best for you.